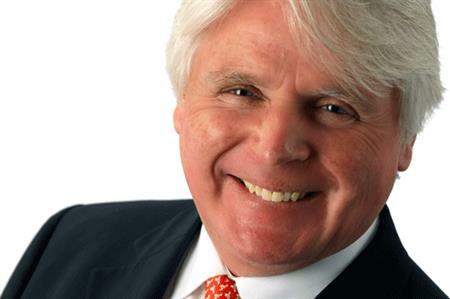 Events industry stalwart Graham Frazer passed away last night, following a long battle with illness. Described as an 'industry trailblazer', Frazer worked at Maritz Europa for 14 years before it was taken over by Grass Roots in 2006. He then turned his talents and expertise to the meetings, events and communications division for 18 years, eventually becoming deputy chairman of the division. Responsible for establishing the Travel Awards, he was incredibly passionate about events and was highly respected in the industry. After moving to agency Imagination in 2010, he became director of travel and logistics, before retiring in 2013. Founder of Meetings Guru and fellow industry pioneer David Hackett said that he and Frazer were old friends, having worked in the industry together for more than four decades. "He was particularly well known for his impressive car launches, which he worked on for weeks and months at a time. He was incredibly committed and passionate about the industry, travelling for up to 200 days per year." "He is hugely respected and much-loved by everyone in the industry. More than that he was a true friend and will be deeply missed." His Grass Roots colleague and friend Giselle Ripken, director of meetings and events, described Frazer as a wonderful and impressive man, an exceptional mentor and loyal friend. "I can honestly say that I would not be the businessperson and individual I am today had it not been for Graham taking me under his wing from my late twenties. He always encouraged our people in the industry through his open sharing of his wealth of knowledge, pushing you to take risks and to believe in yourself even when times (and in some cases certain clients) were tough. There have been few true gentlemen I have known – but our Graham was absolutely one of them. When decisions were hard he would turn to us and say "well, I think we need time to reflect so I think a very cold good glass of sauvignon blanc is called for – don’t you?". Rest in peace, my industry father, and thank you for being there for me, old 'Silver Fox', a nickname coined many years ago!." Editor-in-chief of C&IT Yasmin Arrigo added: "Graham was a trailblazer in the truest form, leading our industry through a series of changes and championing events throughout his career. He will be sorely missed."